Home/Archive by Category" Food Safety"
This is where we are breaking the paradigm of public pressure on corporate America. Instead of threatening companies, we are looking for ways to help allies INSIDE companies who want to move forward with positive change. 2018 was a great year for the fight against artificial dyes. We saw many stores ban products using them and other companies pledge to remove artificial dyes in favor of naturally derived colors. To encourage this movement CFH has launched the Natural Color Coalition to show brands there remains a growing public demand for only natural colors. With this initiative we are trying a new, positive messaging approach. The negative side-effects of artificial dyes are well-documented and available online with a simple search. But we realized that this has been an ongoing debate throughout the food manufacturing, FDA and public opinion arenas since the 1950’s (earlier, depending on who you ask). The usual strategy – boycotts, petitions demanding action, and articles showing the negative effects – has begun to fall on deaf ears. So our new approach is to show manufacturers that there is still a growing demand for the change, but also that we now have alternatives we can purchase until they make this change. We feature those on the Good Guys pages at www.naturalcolorcoalition.com. We have also launched a Petition on Change.org to gather signatures as demonstrative proof of this movement towards using only natural colors. To support this petition further we are launching the Color Me with Love video contest which we will deliver to the top-ranking brands from the winning selection, along with the petition signatures. The contest will focus on the public making a 30- to 58-second video message “Love Letter” to their favorite product saying how much better it would be with natural color. Sticking with the positive messaging strategy all submissions must be positive, humorous, ironic or just plain funny. The Contest runs Feb 12 – March 15, 2019, and the winners will be announced March 20, 2019. First Prize is a Surface Pro 6, Second Prize is a $500 Gift Card. FOUR third prize winners will be selected and each will receive a Google Home hub. For more info: www.naturalcolorcoalition.com/contest. Please support these new initiatives by visiting www.naturalcolorcoalition.com. Sign the petition and enter the contest – there is no fee to enter. Our social media for this campaign also provides a good deal of useful information such as products made without artificial dyes, as well as recipes, so check out the social media channels as well. Have a happy lectin-, gluten-, additive-free Thanksgiving! Let me start by saying that consuming unadulterated food has become increasingly challenging. And as we enter the “eating season” that begins with Thanksgiving, complications can heat up at a rapid pace. 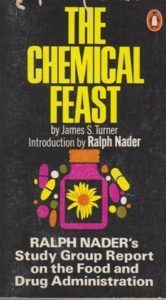 If you’re not careful, a “traditional” Thanksgiving meal can easily become a “chemical feast,” to borrow the title of CFH Chairman Jim Turner’s classic book. Starting with the canned cranberry sauce, which typically contains high fructose corn syrup (HFCS), to the stuffing – loaded with bad oils, MSG and more HFCS – right down to the pumpkin pie, with even more HFCS, genetically-modified ingredients and partially hydrogenated oil in the crust, most Thanksgiving spreads contain more laboratory concoctions than they contain real food. Even the main event – the turkey – can be a chemically pickled piece of poultry. Any “self-basting” or “deep basted” bird typically comes loaded with enough added ingredients to preserve it until next Thanksgiving! But I’m here to make things even more complex for you. That’s right, there are other food matters you may want to consider as you do your shopping for this big day of eating – specifically the hazards of lectin. Now, Dr. Gundry isn’t against all of nature’s bounty, saying that eating certain plants is “essential for good health,” and supplies most of the vitamins, minerals and antioxidants needed to stay well. He also provides tips on how to make many fruits and veggies less “toxic” (some of which I’ll share with you in a minute), as well as selling a supplement called “Lectin Shield,” designed to block dietary lectins. But as a writer and researcher who has focused mainly on the man-made hazards added to foods and beverages, I know that just because something is labeled as natural and untainted by human hands, it doesn’t automatically mean it’s good for you. And his concept that these noxious proteins are “designed by nature to protect” plants does make sense. I’m sure you’ve had the experience of eating a totally “healthy,” carefully prepared meal only to feel really crappy afterwards. Could the reason be it contained high concentrations of lectin? Maybe. Dr. Gundry even calls humans “plant predators” – in the same category as the deer who graze in my backyard or the caterpillars who consumed every bit of my garden parsley. Try to eliminate as many fruits and veggies as possible that contain lots of seeds, such as cucumbers, tomatoes and squash, from your diet. Peel your vegetables, as lectins are concentrated in the peels, and seeds of plants. Ditch the whole grains and seeds with hard outer coatings, which “are designed by nature to cause digestive distress.” That includes swapping brown rice with white. For Thanksgiving, these lectin restrictions would mean nixing the pumpkin pie, mashed potatoes, your treasured family recipes for rolls, corn muffins, the green-bean casserole, and even wild rice. Turkey and all other poultry, according to Dr. Gundry, must be pasture-raised, which is considerably different from just being “free-range.” Grass-fed beef, bison, boar, elk and venison, can also make the grade for your feast, along with plenty of wild-caught seafood and shellfish. If it sounds like there’s not much left to serve on the side, there’s actually quite a bit, including lots of lettuces, turnips, sea vegetables, parsnips, millet and sweet potatoes – the only potato that makes his “yes please” list. Actually, I could see this low-lectin feast idea going viral, perhaps with Martha Stewart coming out with a recipe guide on how to prepare some of the more obscure “approved” foods – such as nopales cactus, taro root, sorghum, grouse and pheasant. And that sounds a whole lot better than some other Thanksgiving ideas from Martha’s collection, most especially the roast capon (with fig-and-pancetta stuffing, no less) – which, put more bluntly, is a castrated rooster! Of course there’s still a big Thanksgiving dilemma left to solve. And that’s to try and keep the dinner table conversation equally easy to digest! Partially Hydrogenated Oils Are Now Banned, Right? They’re supposed to be history by now. We’re talking about the particularly dangerous class of food additives known as partially hydrogenated oils, or PHOs, which are the result of solidifying a vegetable oil by infusing it with hydrogen gas. Long used to extend the shelf-life of various processed foods, such as baked goods, PHOs were also cutting short the lives of many of those who regularly consumed them, being the primary source of artery-clogging trans fats in our diet (as chronicled in our 2017 book Badditives!). The removal of these ingredients from the GRAS (generally recognized as safe) list was quite an achievement in itself – one the FDA noted was a response to both “citizen petitions” and “available scientific evidence and the findings of expert scientific panels establishing the health risks associated with the consumption” of trans fats. And it came only after considerable resistance from the Grocery Manufacturers Association (GMA), which submitted a petition to the agency in 2015, and an amended version last year, requesting that the food additive regulations be amended to provide for the safe use of PHOs in certain food applications. And since during that period, you might still very well end up consuming them and further endangering your heart health, it remains imperative that you check those ingredient lists before buying any processed food products. And we would hope that’s something you’ll continue to do, even after the last vestiges of PHOs are gone – because there are a whole lot of other “badditives’ remaining in our food supply. We can also only hope that the pro-industry Trump administration doesn’t find a way to modify or reverse this lifesaving regulation while it has us distracted with other issues. As mounting evidence suggests that eating Genetically Modified Organisms (GMOs) promotes health disorders and diseases, there has been a conspicuous lack of information about how to counteract the damaging impacts—until now. On July 17th, GMO investigator Jeffrey Smith launches a free expert-interview series called “Healing from GMOs and Roundup,” featuring 18 leading scientists, physicians, product formulators, and specialists. 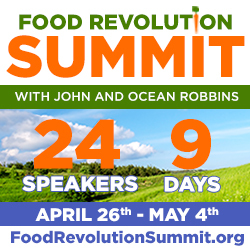 Hosted at https://HealingFromGMOs.com, this unique 10-day online conference reviews the serious health consequences from GMOs and Roundup, and introduces practical step-by-step actions that people can take to help reverse those effects. The leading consumer advocate promoting healthier non-GMO choices, Jeffrey Smith was named the 2017 “Person of the Year” by Masters of Health Magazine. For more than two decades, his research has exposed how biotech companies mislead policy makers and the public, and put the health of society and environment at risk. Roundup is featured in the series because most GMO crops are designed to survive sprays of this toxic herbicide, which then penetrates and lingers in the plants and the food. Roundup is also used on many non-GMO crops as a ripening agent just before harvest, so it is found throughout our food supply. Many experts believe that Roundup, and its active ingredient glyphosate, contribute to numerous chronic diseases that have been rising in parallel with the increased use of the herbicide in the United States. Dr. Zack Bush, for example, discovered that Roundup’s active ingredient glyphosate separates the tight junctions between human cells, potentially leading to a permeable gut lining. Such a “leaky gut” condition is correlated with cancer, heart disease, Alzheimer’s, Parkinson’s, autoimmune disease, allergies, inflammation, and autism. In his interview, Dr. Bush describes how a substance isolated from 50 million year old soil can restore the cells’ tight junctions, even in the presence of glyphosate. David Sandoval developed a product designed to pull glyphosate residues out of the tissues and repair damaged intestines. Pre-clinical trials showed a 74% drop in glyphosate levels in urine. 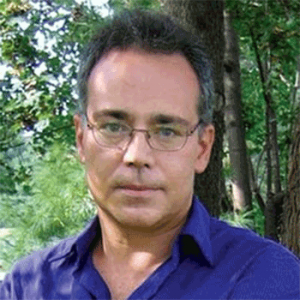 Dr. Tom O’Bryan developed a unique product which, according to lab simulations, quickly breaks down most of the toxic insecticide produced from GMO corn. The corn has been equipped with genes from soil bacteria, which produce Bt-toxin. It kills insects by creating holes in their gut walls. Research published in 2012 confirmed that Bt-toxin from GMO corn can also poke holes in human cells—in lab tests using high concentrations. · block critical pathways and functions needed to support healthy bodies and balanced brain chemistry. Animal studies on GMOs have revealed organ damage, massive tumors, premature death, immune system problems, and numerous other issues. 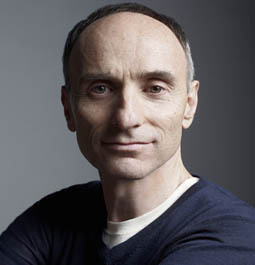 “The impacts are so extensive and wide-ranging,” says Smith, “it makes sense that in our survey published last year, more than 3,250 people reported improvements in 28 health conditions after reducing or eliminating GMOs from their diet.” Smith maintains that switching to organic food—made without GMOs, Roundup and other synthetic toxins, is critical to restoring health. “The recommendations made in the series are extra steps we can take,” he says. During the series, viewers will get more acquainted with vital systems in the body and how to maintain or rebuild health using dietary choices, supplements, procedures, and other recommendations. The steps to heal from GMOs and Roundup overlap with many of the same things that support health generally, including detoxification, tissue repair, a healthy balance of diverse bacteria throughout the body, a strong immune system and digestion, and ample energy. Interested persons can register for free at https://HealingfromGMOs.com. The Bonvie Blog: How About Some REAL Food for Thanksgiving? Thanksgiving offers a wonderful opportunity — not only to “gather together” with family members and friends from near and far for a traditional homemade feast, but in so doing, to reject today’s fraudulent food culture in favor of the kinds of things that Mother Nature intended to sustain us. You might even say that there’s no better way to show how thankful we are for the ‘blessings of the harvest’ than to restore them to their proper place on our table. By that, I mean preparing and serving only the kinds of foods that are the ‘real deal’, rather than the adulterated, additive-laden, disease-promoting products that manufacturers have substituted for no other purpose than to minimize their costs and maximize their profits. In an age when children have been encouraged by multimillion-dollar marketing campaigns to develop cravings for junk food and parents persuaded to serve nutrition-deficient, ready-made meals permeated with neurotoxic flavor enhancers and other synthetic ingredients that wreak havoc on health, Thanksgiving is an occasion for reintroducing to our families the simple delights of genuine food. Take cranberry sauce, for example. Now, the cranberry is one of nature’s most healthful fruits — loaded with antioxidants, phyto-nutrients, anti-inflammatory and anti-cancer benefits. 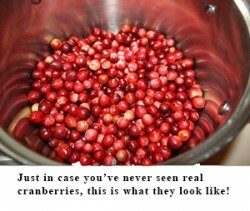 Unfortunately, commercial food processors such as Ocean Spray have made it easy to serve canned varieties of cranberry sauce (either jellied or “whole berry”) that have been sweetened with high fructose corn syrup (HFCS), the laboratory concoction that studies have linked to our current epidemics of obesity and diabetes, as well as various other health problems. Bu t with just a little more effort than that required to open a can and coax the HFCS-sweetened blob out with a knife, you can make HFCS-free cranberry sauce all by yourself. Fresh cranberries, water and sugar cooked till the berries pop will thicken as it cools and taste amazing (see recipe measurements here. Note, this recipe calls for orange juice, but you can also substitute water using the same amount). Even worse than the canned cranberry sauce are commercial variants on some of the other stuff traditionally served at Thanksgiving — like stuffing, for instance. Two of the worst examples of this good side dish-turned bad are made by Kraft — Stove Top Turkey Stuffing and Stove Top Cornbread Stuffing. Both look like laboratory creations, having been laced not only with HFCS, but two other atrocious additives — partially hydrogenated soybean or cottonseed oil (a source of trans fats that ‘s now being officially phased out by the Food and Drug Administration as a cause of thousands of heart attacks every year) and hydrolyzed protein, a form of disguised MSG that can actually destroy certain brain cells — especially in children and the elderly. Other brands of commercial stuffing mix, such as Arnold “Premium” Cornbread Stuffing and Pepperidge Farm Herb Seasoned Stuffing, aren’t much better, despite the image of wholesomeness these brands have tried to cultivate. Both contain HFCS and that coronary artery disease-inducing partially hydrogenated oil. Even if you have to make your stuffing from scratch (which is not all that complicated) there is absolutely no excuse to be using chemical concoctions like the ones mentioned above. Arrowhead Mills, for example, makes a ready-seasoned organic stuffing mix that’s just as easy to prepare as Stove Top. Then there’s the turkey itself, which can also contribute its own share of unhealthy ingredients to the mix. Watch out for any bird that is said to be “self basting,” deep basted,” or any similar claim. Also check the packaging for any added ingredients. You should be cooking a turkey, not conducting a lab experiment. A far better idea is to bake your own pumpkin pie using ready-made canned pumpkin, adding your own ginger, nutmeg and cinnamon, condensed milk and an additive-free pie shell (Arrowhead Mills makes a good one of those as well). You can also make your own pie shell from scratch, it’s much easier than you think. Just be sure to use graham cracker crumbs that have good ingredients, i.e., no partially hydrogenated oils, HFCS or artificial flavors or colors. The recipe is easy to find (also on every can of pumpkin), and easy to prepare. Just make sure you allow enough time to chill your creation in the fridge. With just a little bit of extra effort, you’ll have a Thanksgiving table of which you can really be proud — one that’s free of the junk foods that the big food companies would like to have us think are traditional dishes and “original recipes.” And you can prove to your family and your guests that old-fashioned, genuinely ‘natural” food tastes even better than cheap, “convenient” imitations — and can make for a holiday feast that’s every bit as enjoyable as those pictured by Norman Rockwell. Now that Halloween is here again (it always sneaks up on you), we hope you’ve heeded our earlier advice and found treats that are free of the various “badditives” that are still being allowed in so many products. But those scary ingredients, such as high fructose corn syrup, artificial colors, aspartame and even the partially hydrogenated oil that is now in the process of being phased out – can be found in a lot more things than Halloween candy. In fact, you might even say that a lot of the items we eat for breakfast, lunch and dinner on a daily basis can actually be put in the “junk food” category because of the harmful chemicals they contain. And that includes a long list of items that you may have on the menu for your upcoming holiday feasts. Take cranberry sauce, for example. 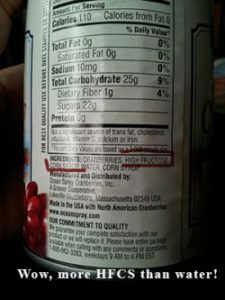 While the cranberry is coming to be regarded as a “superfood” that offers many nutritional and even medicinal benefits (and should absolutely be part of your holiday festivities), much of the conventional canned cranberry sauce you’ll find in the supermarket has added the laboratory sweetener HFCS. That turns this incredibly healthful food into something that’s actually hazardous to our health. Then there’s stuffing, which may contain a variety of badditives we talk about in our book – including various disguised forms of MSG that, depending on your degree of sensitivity to them, can cause everything from headaches to vision problems, seizures and Afib. And that’s not to mention the things you might find in even home-baked pies, bread or muffins if you’ve made them from a commercial mix, and which may well include aluminum, a common ingredient in baking powder, which has been linked to Alzheimer’s and other health problems. Of course, if turkey is on your menu, you should seriously consider serving an organic or free-range one, rather than a bird that has been fattened up using growth hormones, or on genetically modified feed laced with the herbicide Roundup. By keeping these things in mind as you prepare for the upcoming holiday season, you can turn the festivities into an occasion for some truly healthy as well as enjoyable eating. New Jersey – Halloween is coming. And the scariest stuff is as close as your fridge or pantry. It’s that time of year again when, unless you live in an isolated cabin in the woods (or possibly more so if you do), stocking up on “treats” is practically obligatory. So it’s a good idea to turn more than a passing glance toward the labels on the Halloween treats you’re giving out. A lot of them contain some scary ingredients you will likely want to avoid – even if they’re going to be gobbled up by witches and ghosts! Trick #1: High fructose corn syrup or HFCS, the laboratory-created sweetener that took first-place honors in the Citizens for Health Read Your Labels campaign – and for good reason. The scientific rap sheet on HFCS is getting longer all time. High fructose consumption in general, and consumption of HFCS in particular, recently have been linked to a higher risk for heart disease and diabetes – especially in kids. The additive has also been identified in studies as contributing to weight gain and obesity, hampered brain function and increased levels of cholesterol and triglycerides. Trick #2: Partially hydrogenated oil (PHO), a.k.a. trans fats. Unbelievably, some cakes and candies still contain this ingredient, even though the FDA promised it would be phased out by June of next year. All health professionals and experts – yes, all of them – agree that PHO poses a major cardiovascular threat. Even the Centers for Disease Control and Prevention admit that PHOs are responsible for causing more than 20,000 heart attacks and roughly 7,000 deaths a year in the U.S. alone. 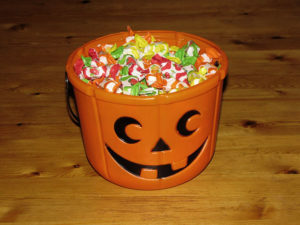 Trick #3: Artificial colors, which are widely used in candies, are often derived from coal tar and petroleum extracts. These additives are acknowledged to cause hyperactivity in some children, which is why since 2010 European regulatory officials have required that products containing these unnatural coloring agents contain a warning label saying that consumption “may have an adverse effect on activity and attention in children”. Trick #4: Aspartame can be in anything from beverages to yogurt, but it’s also found in some common Halloween treats like gum and hard candies. And in a bizarre way, that’s kind of fitting, as it’s actually a brain-eating mini-monster in disguise, one of a class of chemicals known as “excitotoxins” that are actually capable of exciting certain brain cells to death. That little side effect is especially true for kids whose blood-brain barrier isn’t fully developed. Since aspartame’s shady approval in 1981 by a political appointee at the Food and Drug Administration, thousands upon thousands of health-related complaints about it have been lodged with the agency ranging from migraines to dizziness to vision problems. And that that’s really scary! No one, of course, expects candy to be health food. But some of the treats stacked up in anticipation of Halloween are far less healthy than others. And remember, the ingredient list, not the Nutrition Facts Label, is your only guide to what they really contain. What you read in the excerpts Bill and I shared was merely a glimpse into the world of an industry that has control over something that’s fundamental to life itself – the food we eat. Even if you’re a confirmed label reader and avoid processed food like the plague, you’d still be hard-pressed to totally avoid all of the dangerous additives that have managed to worm their way into our food supply. Whether approved by the FDA or a shadow group known as the Flavor and Extract Manufacturers Association (FEMA), which can give its “FEMA-GRAS” stamp of approval on practically anything, it all comes down to the fact that eating has turned into a risky proposition. And what we’re up against as consumers is more than just lobbyists from the food industry. Most of the risky ingredients covered in Badditives! have their own front groups as well – often made out to look like grassroots organizations – a textbook illustration of astroturfing. One example is the International Food Additives Council. It claims that its mission is to “promote the benefits of food ingredients” and “support science-based regulations”. Translation: Don’t let regulations get in the way of our members’ bottom line. Only our science is valid – anything else is “junk science”. 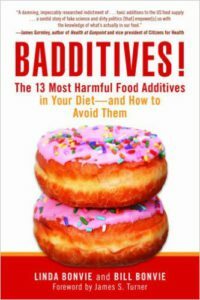 If you thought the list of food additives from Badditives! covered everything you need to know on the subject – well, that’s far from the case. There are a lot more revelations where those came from – and you’ll be hearing more from us about them in upcoming messages from CFH. In the meantime, if you haven’t already gotten your copy of Badditives! you can do so here. And please drop the folks at Citizens for Health a line at comments@citizens.org to let us know if there’s a particular food ingredient about which you would like to learn more.